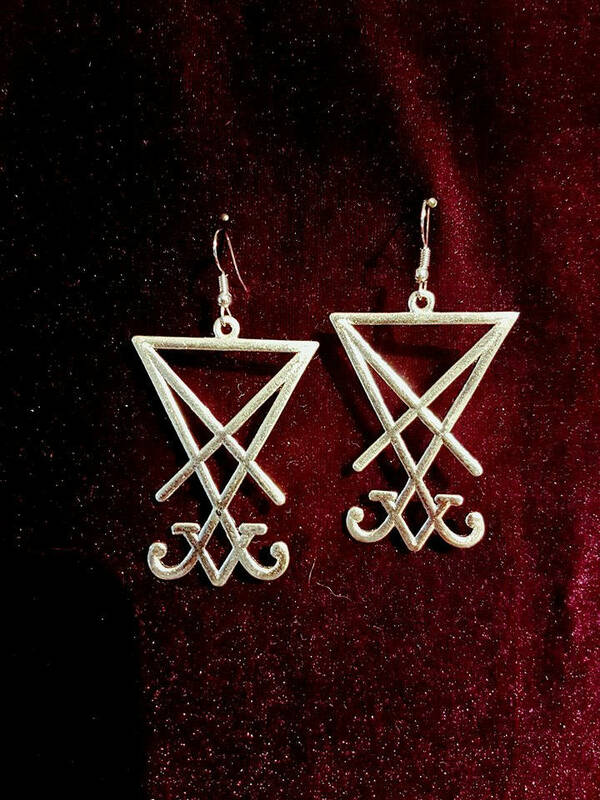 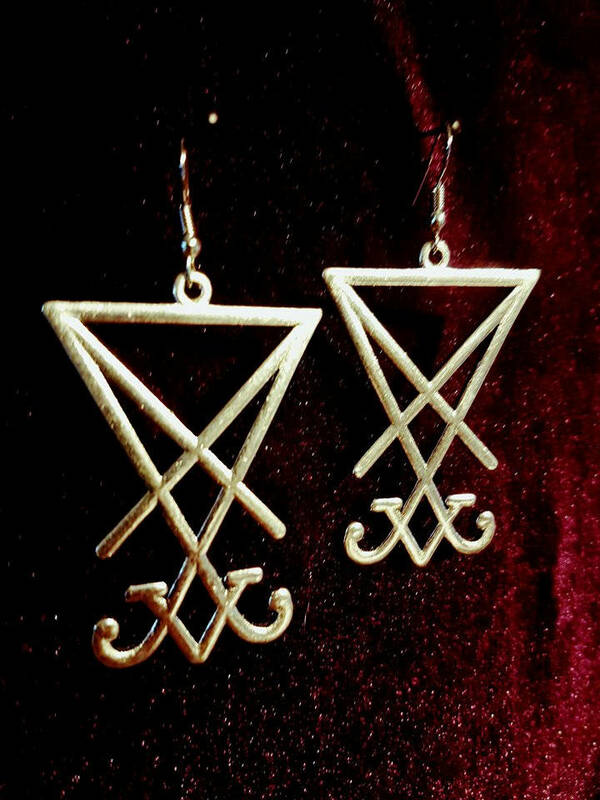 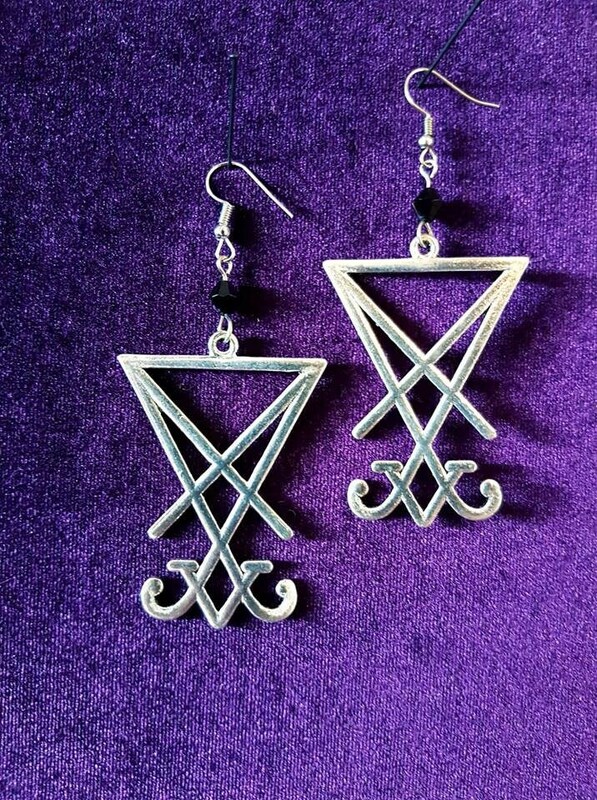 Big Sigil of Lucifer Earrings. 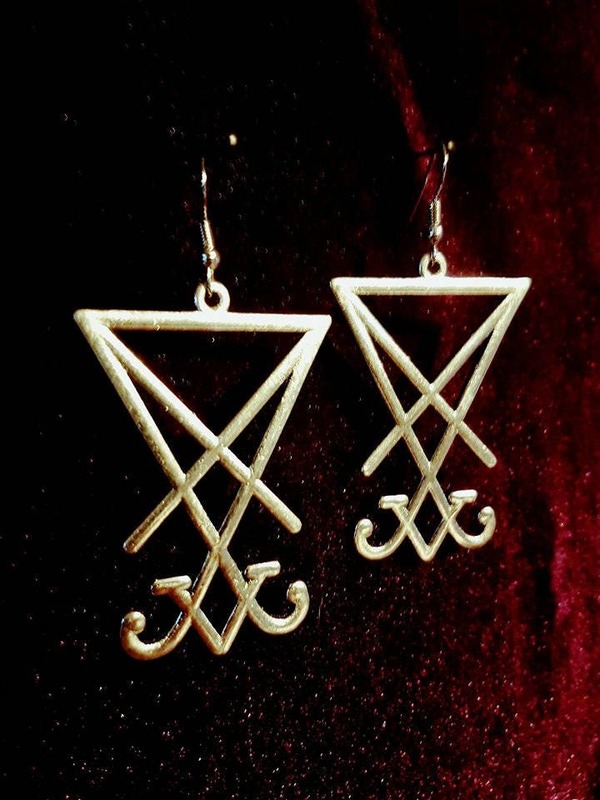 - Sigil is 5cm in lenght. 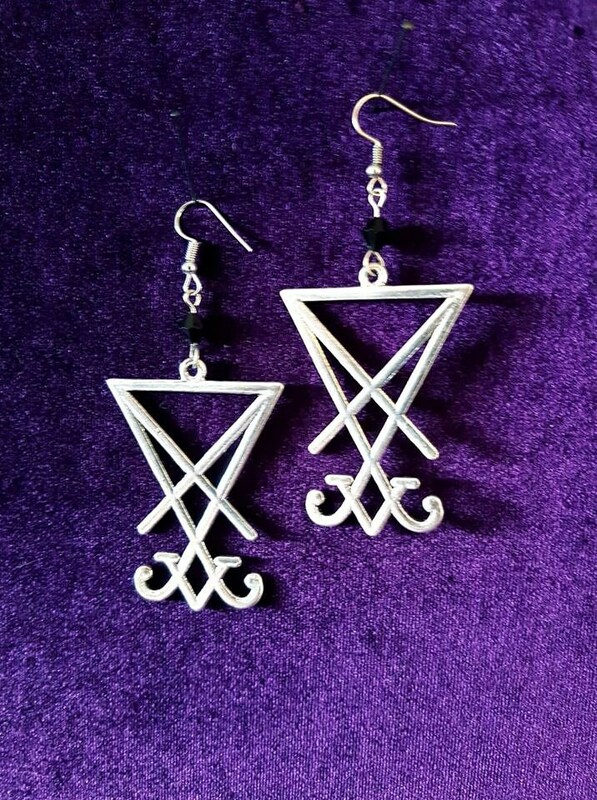 With or Without black bead. 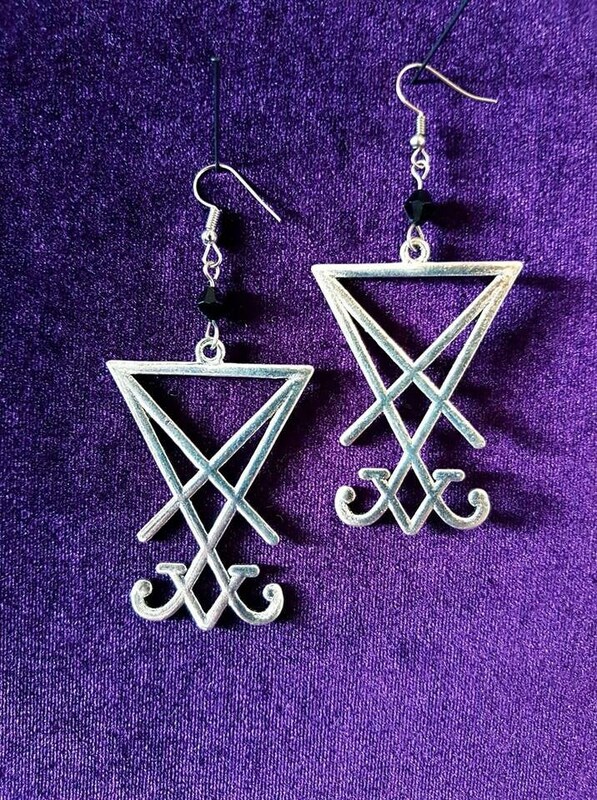 Make your choice in the dropdown box!